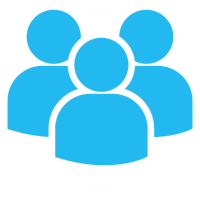 We are a group of people who are dedicated to sustaining and preserving the fish stocks in lower Lake Huron. 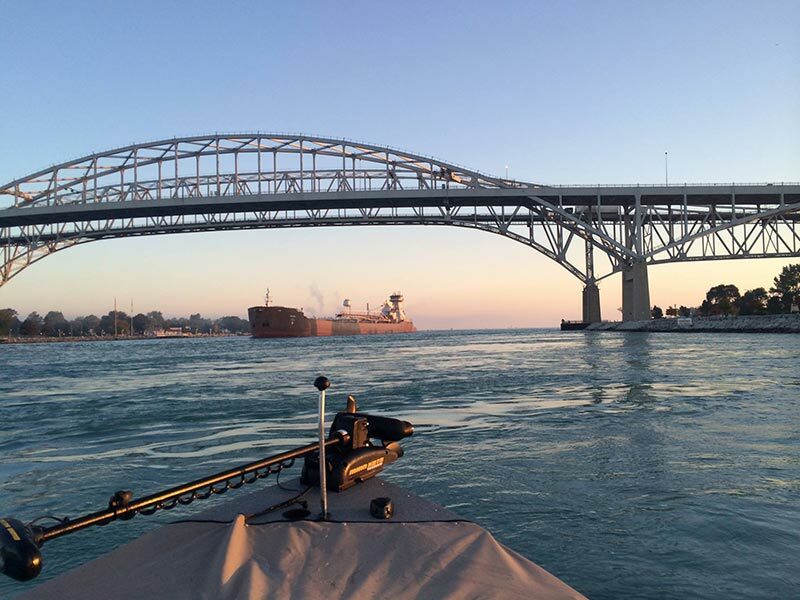 We are based around Sarnia, Ontario where the St.Clair River begins its journey south out of Lake Huron. Our geographical location provides fishing oppurtunites for almost every species found in the Great Lakes. At any point in the year there is different species biting a short boat ride or drive away. We are very fortunate to have such a resource in our backyard and we enjoy sharing and educating people about preserving this amazing fishery. Every year the club members work hard to safely raise thousands of salmon and trout in our fish culture station in Point Edward. These fish are then released into lower Lake Huron and St.Clair River for the enjoyment of all. We offer tours to anyone who wishes to see what it takes to raise over 130 000 salmon and trout. 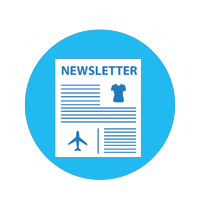 Check out the hatchery page for more information. We put on many fund raising events during the year that offer the chance to get out and enjoy the great fishery and possibly win a prize. 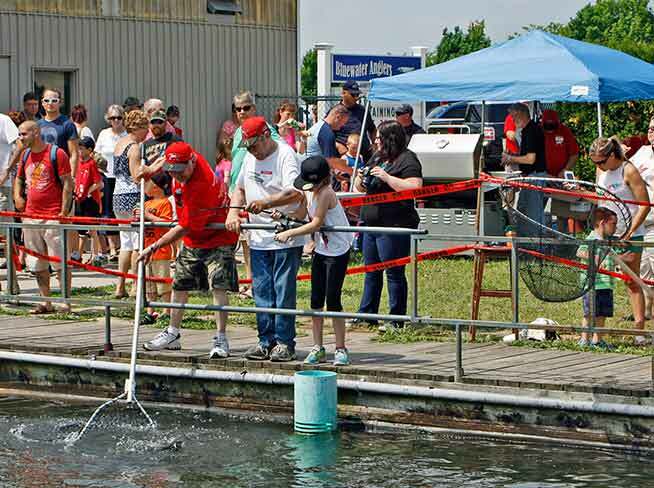 The Bluewater Salmon Derby, Walleye Derby, Big Fish Derby, are a few that provide the club with the means to operate the hatchery and ensure that the fishery is kept strong and healthy. 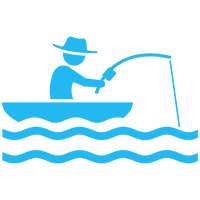 We are always looking for new members who share the same values and want to be part of this cause. Ever wondered how we raise overa 100000 fish every year? Now is your chance to find out. 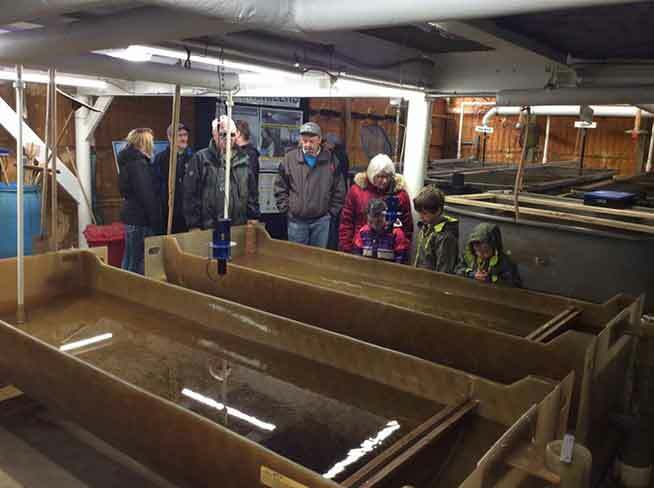 Bring your family and friends to see how we raise fish during our annual Hatchery Open House. We invite all club members and the public to come and see the major improvements we have made to the hatchery. This is the future fish stock for the local waters. Come and visit us. When spring arrives, it is time to do some spring cleaning. 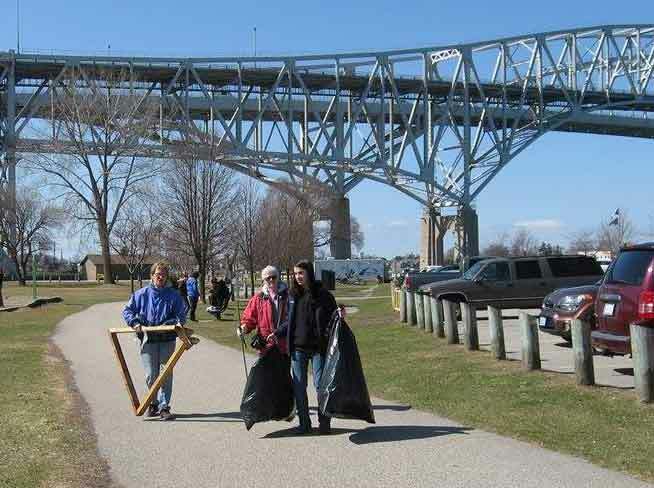 Come down to the hatchery and help clean up the shoreline between downtown Sarnia and the Point Edward treatment plant. Our annual shoreline clean up is one of the ways the Bluewater Anglers try to help improve the fishing experience in our community. Bring your gloves and wear sturdy footwear. We will provide the garbage bags. There are hotdogs, pop and coffee served at the hatchery for lunch. Bring your family and friends! The Club Spring Derby is open to Bluewater Angler members (free) and the general public. Nonmembers must buy a $10 entry ticket. 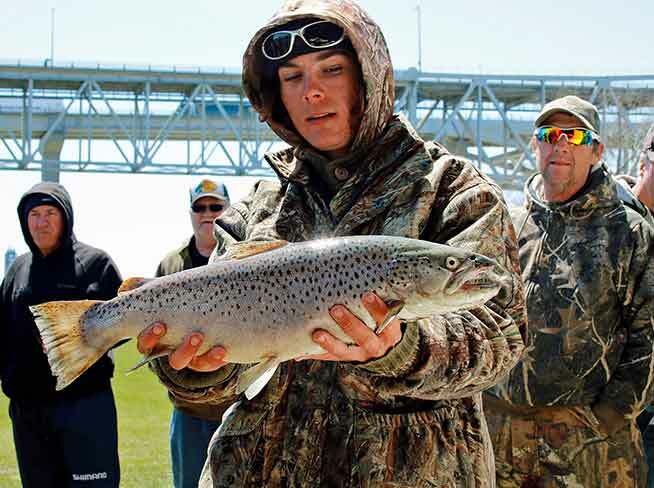 This event precedes the Bluewater Salmon Derby by a week and is a perfect oppurtunity to work out theany kinks in your equipment before the big event. As usual there are prizes and cash to be won during this event. Hope to see you out on the water. This is it! The big event that people book vacation to attend and patient wait for year after year. The Bluewater Salmon Derby is the main source of funds needed for the operation of the hatchery. Its brings in people from all over Ontario and promises great fishing and a chance to win some amazing prizes. 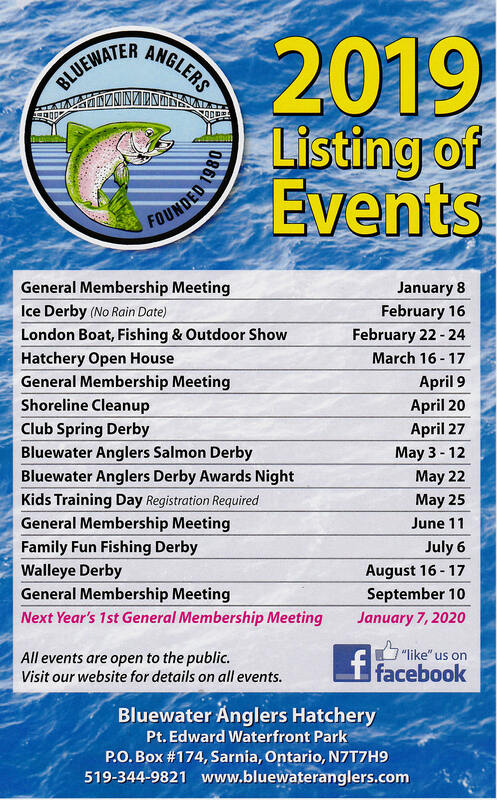 2019 will be the 43rd annual salmon derby and we hope that you will join us. 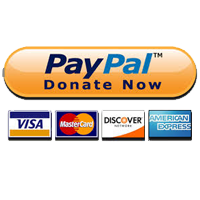 For more information click the button below and dont forget to buy your tickets! Every spring the club hosts a training day for kids whoare interested in the sport. Activities include learning to cast, knot tying, children's safety village, OPP watercraft, tour of the hatchery, and of course every child will be allowed to catch one fish from our outdoor pond. As usual, there are prizes and a bbq lunch available for those who attend. We invite anyone who is interested in the sport of angling to attend this great community event. This is a FREE activity for families. You do not need an Ontario fishing licence during the Ontario Family Fishing Week. Sign up at the booth in Centennial Park, receive your bucket, and then catch as many gobies as you can before lunch. Bring those gobies to the hatchery to be counted and then enjoy a hot dog lunch. Prizes awarded for most gobies and for the 5 longest fish. Who does not love walleye? The Club encourages you to participate in this overnight event which takes place with in the same boundaries as the Salmon Derby. Fishing form boat and from shore is allowed. 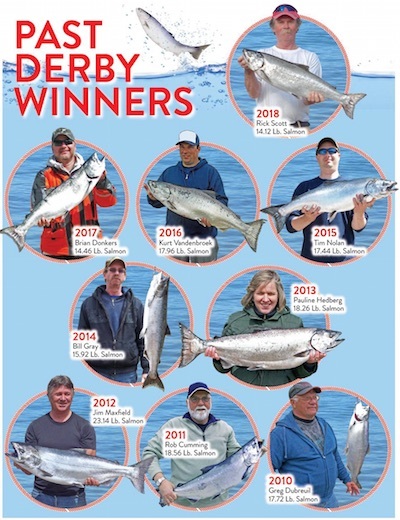 The derby is a single fish submission event and is open to the public with purchase of entry ticket. 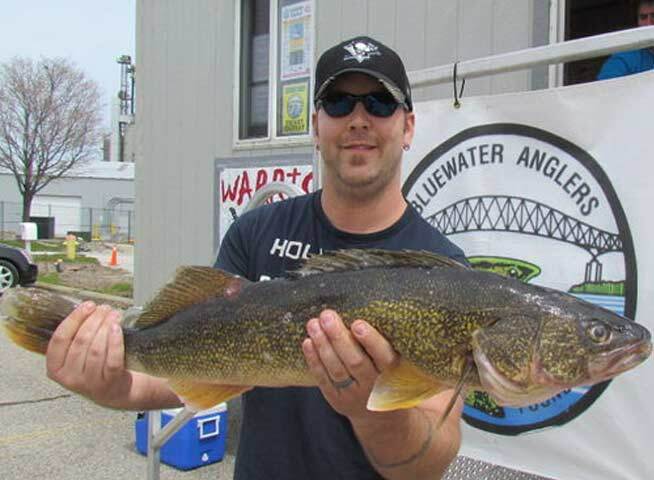 Prizes are awarded for the 10 heaviest walleye submitted for weigh-in at the Hatchery. 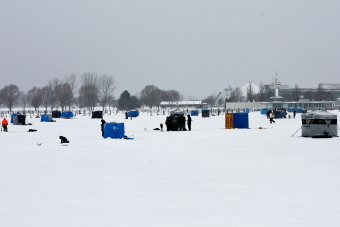 Each February the Bluewater Anglers puts on an ice fishing derby on Sarnia Bay. 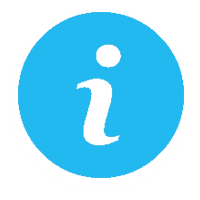 It is held on the license free fishing weekend in Ontario which means anyone can participate with out the worry of having a fishing license. Participants can expect to catch Perch, Pike and Trout. The Ice Fishing Derby is open to club members and the general public. 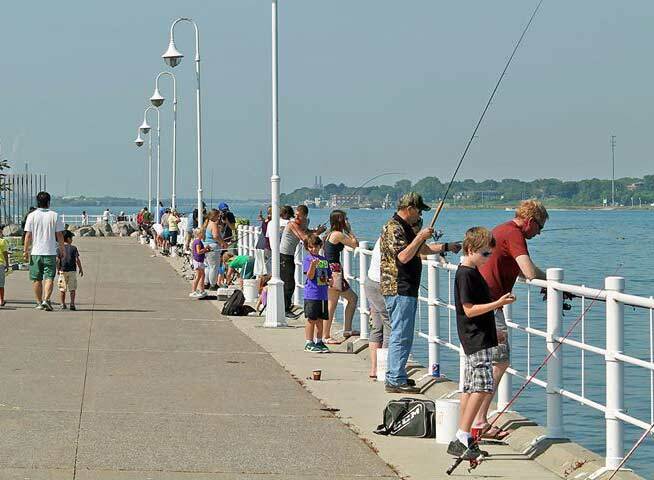 Bring the family and/or a friend and enjoy a pleasant morning on Sarnia Bay. Don't forget the hot chocolate!